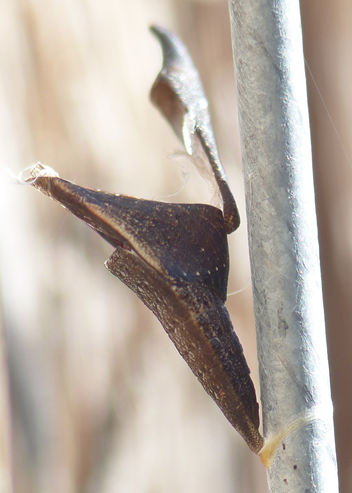 Gordon Hart sends a photograph of Enchoria lacteata from his Highlands garden, April 1. 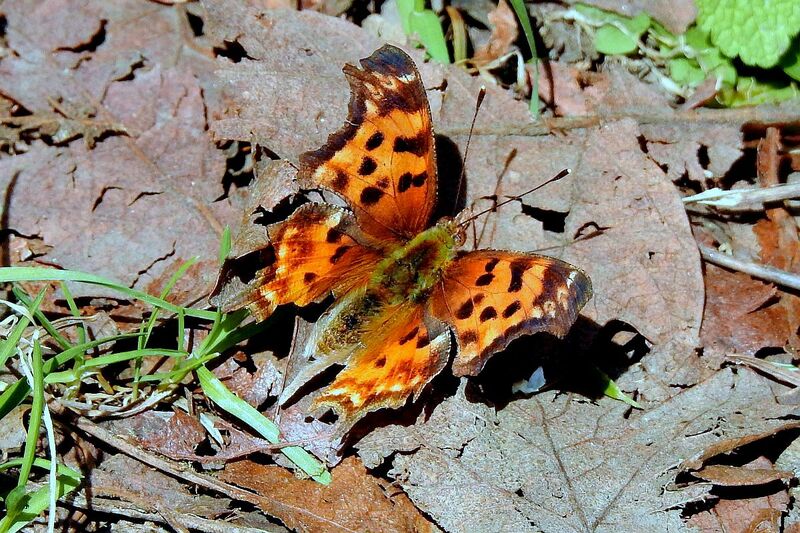 Val George writes: This Satyr Anglewing (Comma) was near the Nature House at Swan Lake (48.464866/-123.374436) yesterday afternoon, April 1. 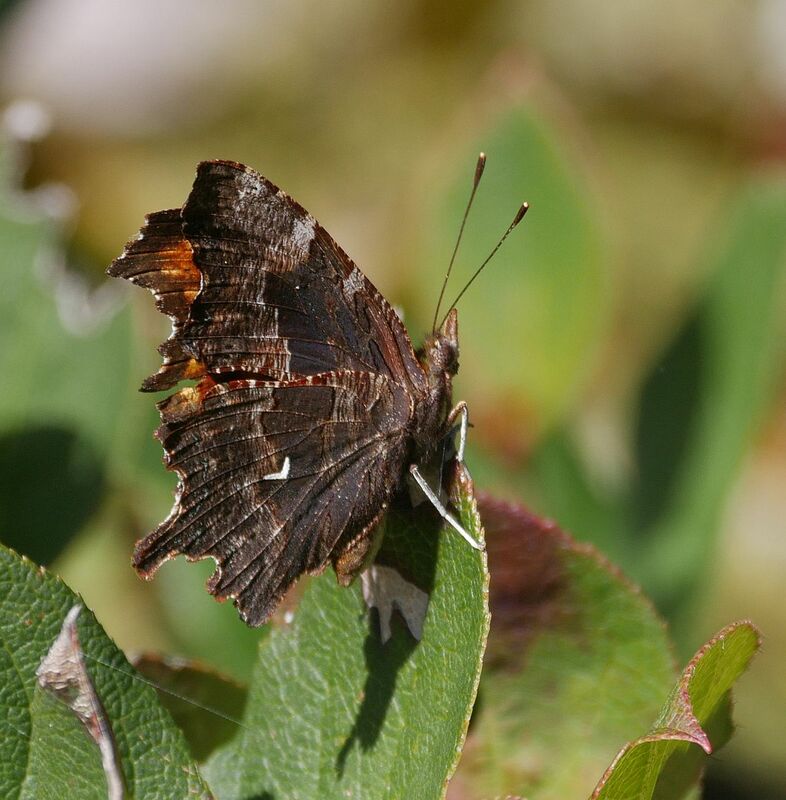 Also, a pristine Mourning Cloak flew past me at the same location. Jeremy Tatum writes: The last two years were poor for both of these species. Are going to have a come-back this year? 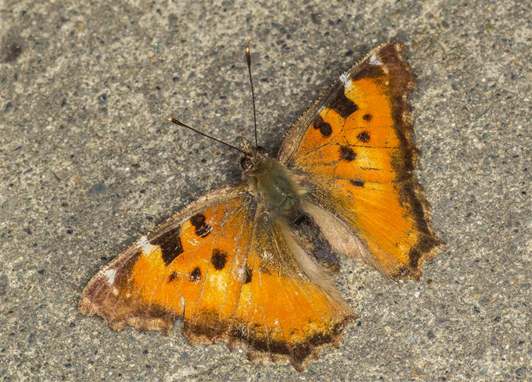 Mike Yip writes: Still pretty quiet for butterflies in Nanoose. 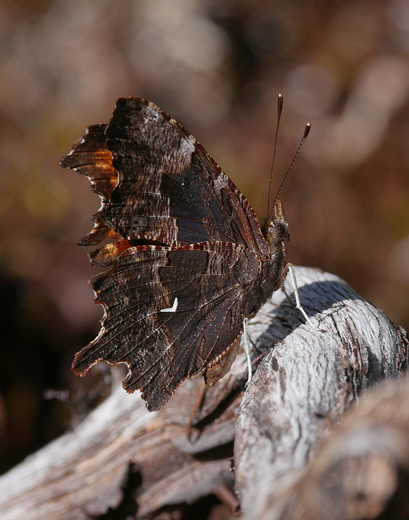 Yesterday I saw one Mourning Cloak on Cross Road. 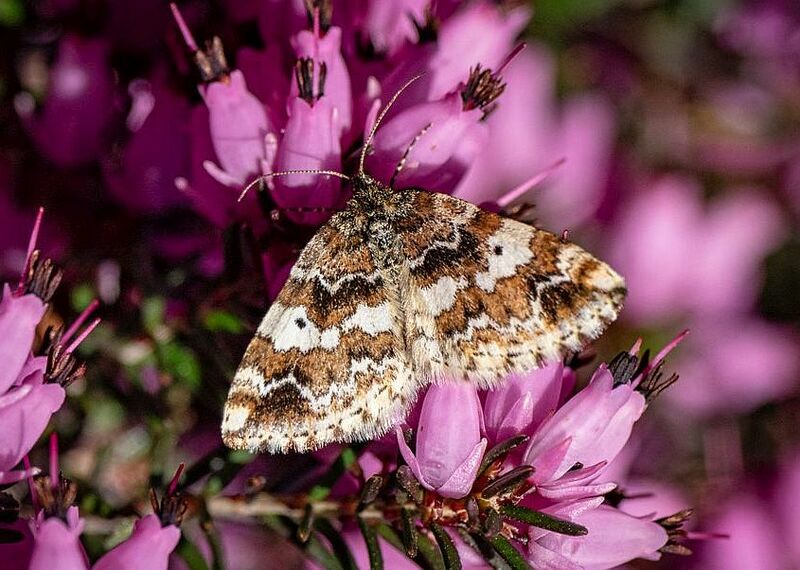 At the Notch at least four male Orangetips were flying frantically about as well as one Propertius Duskywing and many Cabbage Whites. 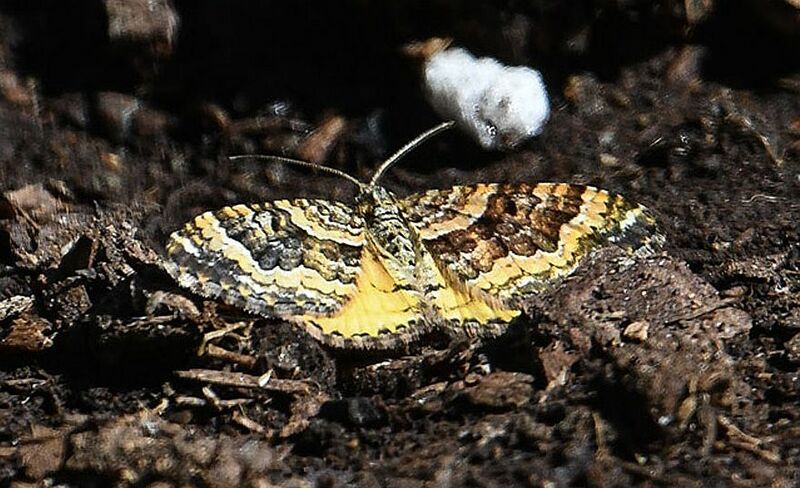 Mike sends two photographs of the day-flying geometrid moth Epirrhoe plebeculata – this is the one I keep asking viewers to look out for egg-laying. Now you know what to look for! 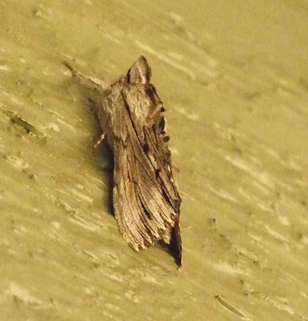 And, talking of day-flying geometrids, Jeremy Tatum and Bill Savale saw a fine Archiaeris infans in the woods at Royal Roads University on March 30. But no butterflies. 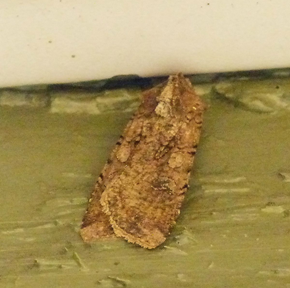 Libby Avis writes from Port Alberni that she saw two Feralia deceptiva and both light and dark Pleromelloida conserta last night, and Mesoleuca gratulata on March 30. Jeremy Tatum writes: Have been so busy with Invert Alert recently (a welcome problem!) 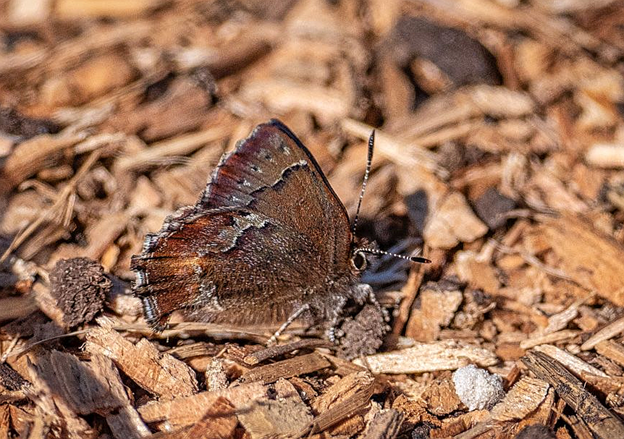 that I overlooked Val George’s recent report of his first butterflies of the season, a California Tortoiseshell on Mount Tolmie, and a Cabbage White checking out the kale in his garden in Oak Bay on March 29. 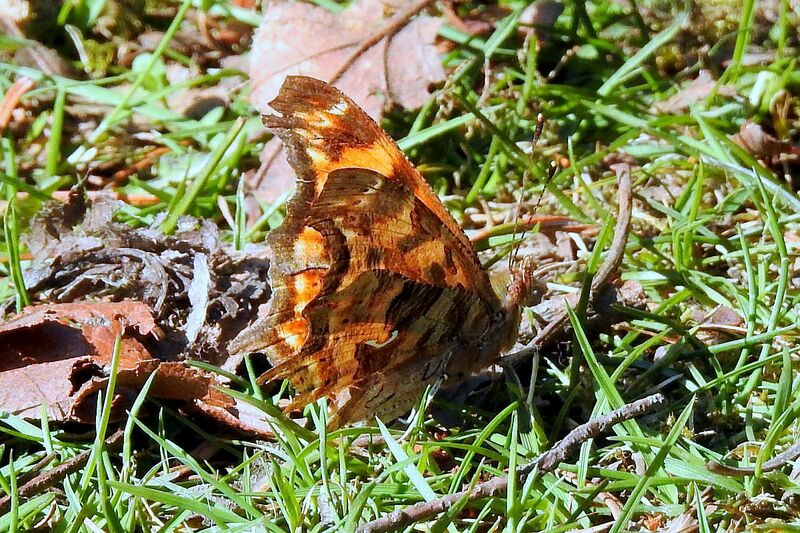 Geoffrey and David Newell report two California Tortoiseshells from Mount Douglas today, March 31, as well as many Sara Orangetips and a Propertius Duskywing. 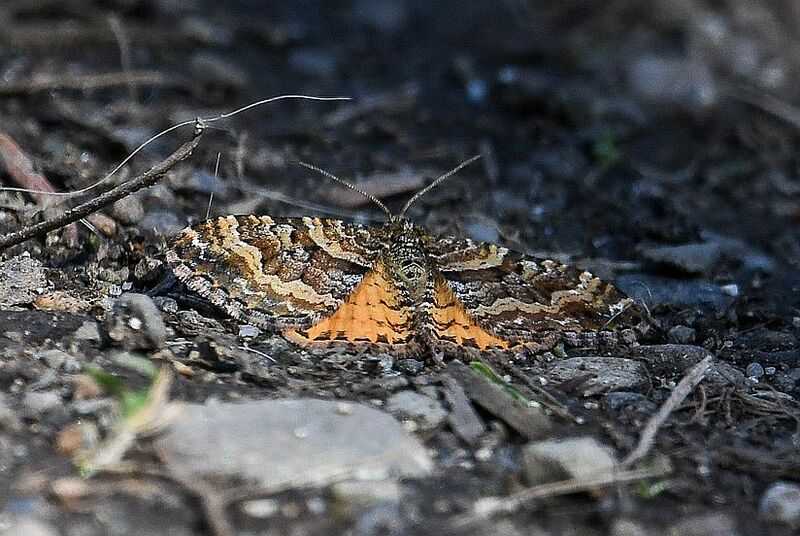 Ken Vaughan sends a photo of a California Tortoiseshell Nymphalis californica from the Mount Tolmie reservoir on 30 March 2019 at about 4:00 PM. 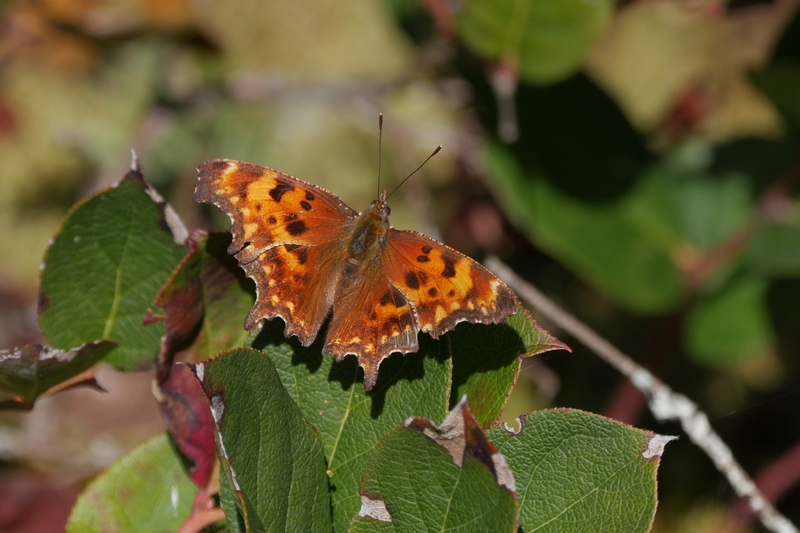 Gordon Hart writes: The Green Commas continue here in the Highlands, with three yesterday. 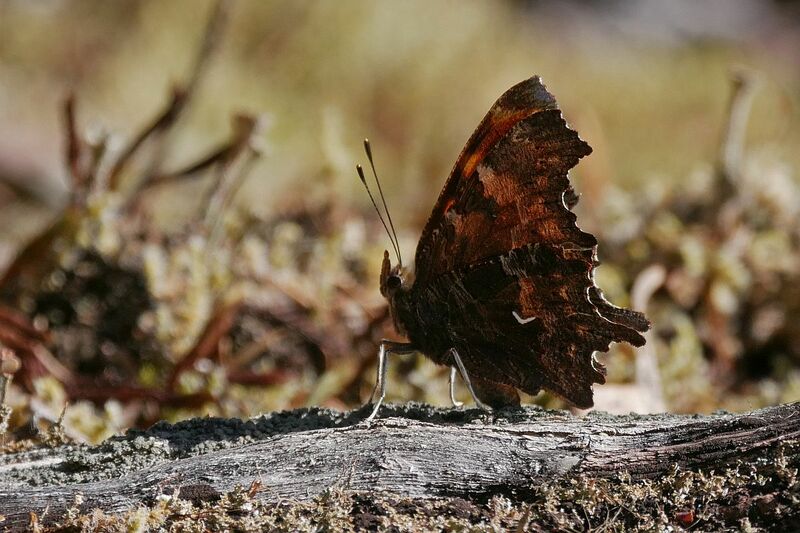 We also saw one faded Satyr Comma Polygonia satyrus, a Mourning Cloak Nymphalis antiopa hyperborea and a Moss’ Elfin Callophrys mossii mossii. We have been planting and encouraging more of the Moss’ Elfin larval food plant, stonecrop Sedum spathulifolium. 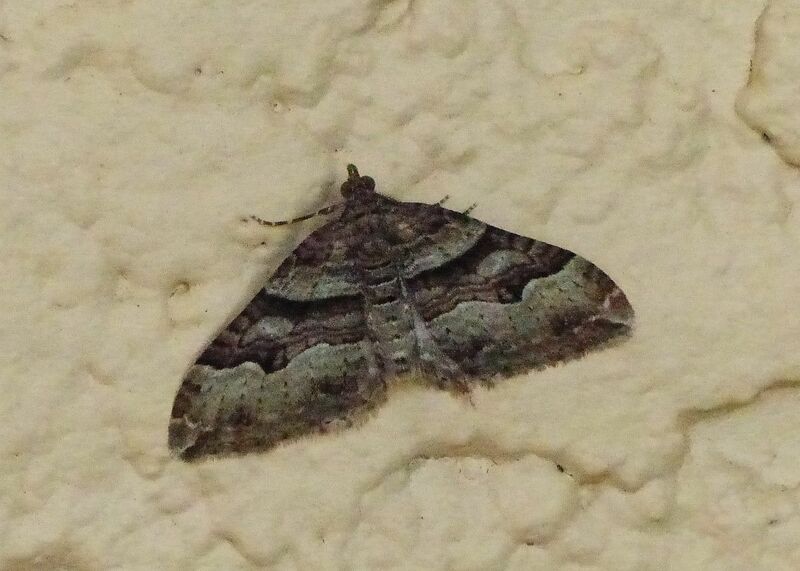 Still lots of Epirrhoe plebeculata around, and I will look for Mesoleuca gratulata. 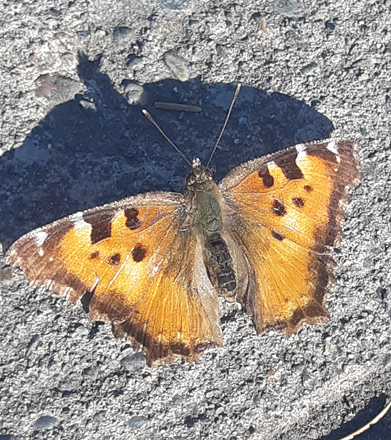 And just as we go to press, a nice underside of a California Tortoiseshell, photographed by Val George on the summit of Mount Douglas 48.492834/-123.345710 today, March 31. 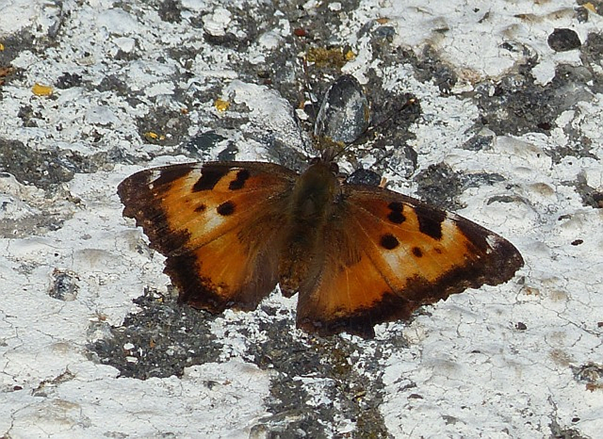 Also there were seven Sara Orangetips and one Cabbage White. 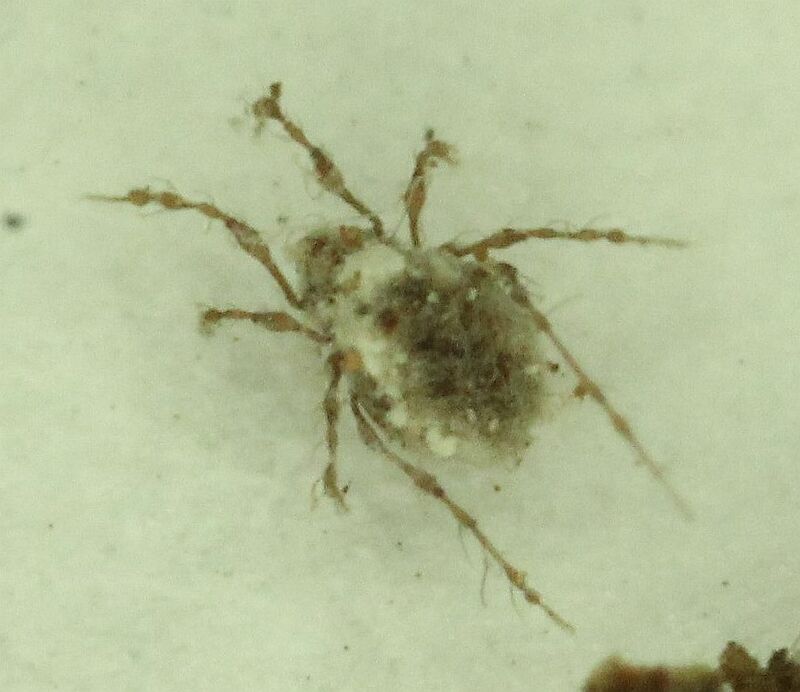 Scott Gimore sends photographs of another mite from Lantzville, March 30, identified by Ray Fisher as a member of the Family Damaeidae. Jeremy Tatum writes: Yesterday, March 30, Bill Savale and I wandered over some of the hills above the railway line next to Shawnigan Lake Road. 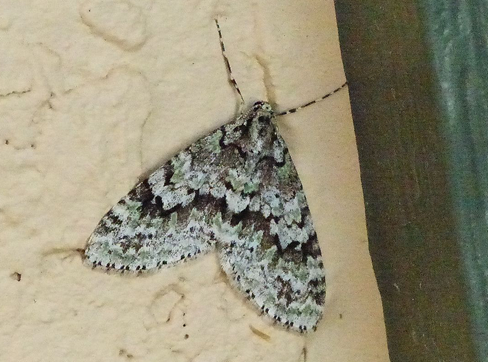 We saw what must have been hundreds of the day-flying geometrid moth Epirrhoe plebeculata, but, strangely, no Mesoleuca gratulata. 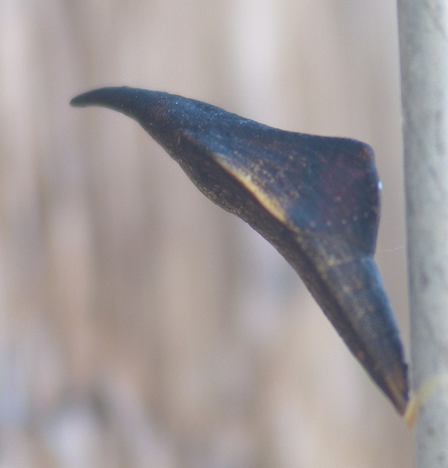 No one has yet reported the latter species to Invert Alert this year. 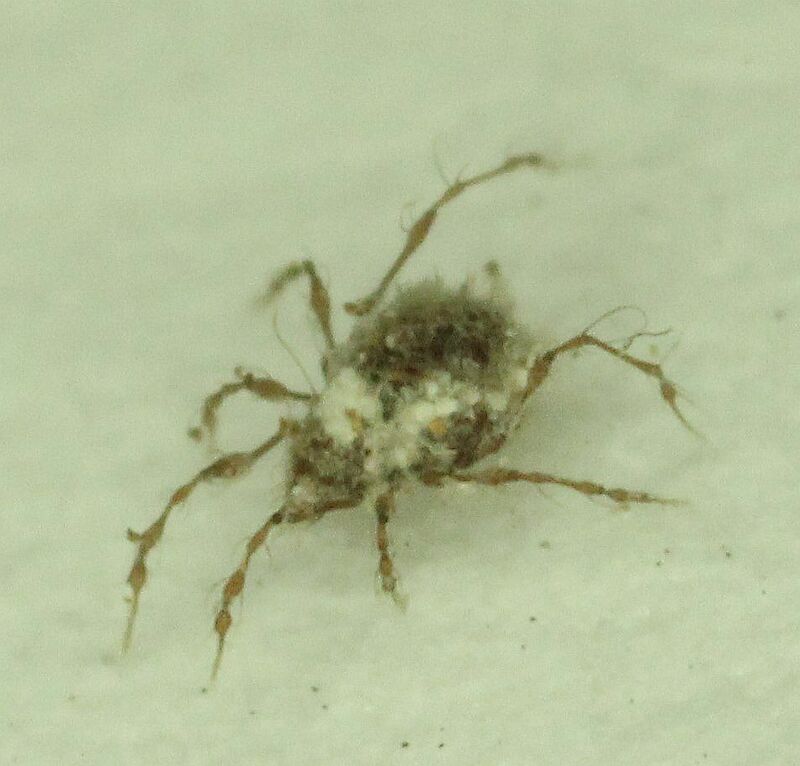 I am trying to find the egg and caterpillar of Epirrhoe plebeculata. 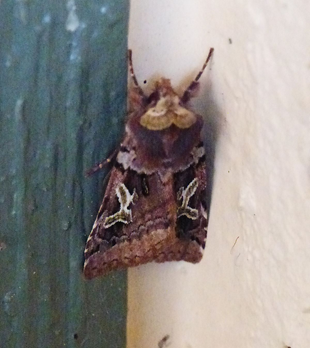 Please watch out for this moth and watch if you can see it ovipositing, and what the plant is. 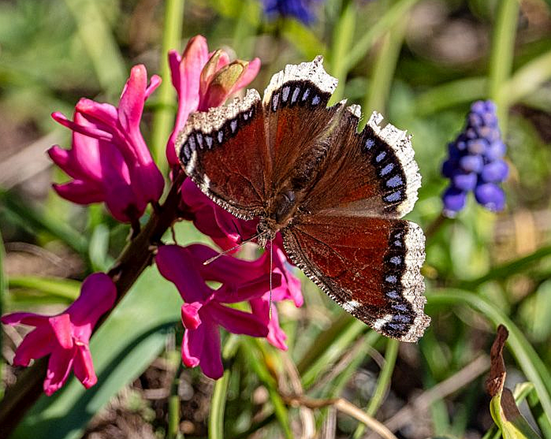 Mark Wynja writes: Yesterday March 29th on Little Mountain (Parksville) the butterflies were active, and it reached 17oC. 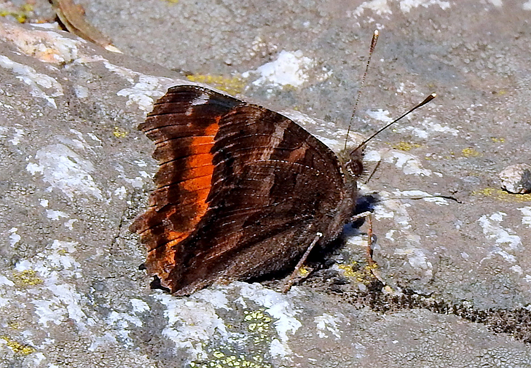 I observed one Mourning Cloak, one Cedar Hairstreak, and two of the rarely reported Oreas Commas. Three times the Commas met and they flew spiraling up overhead. 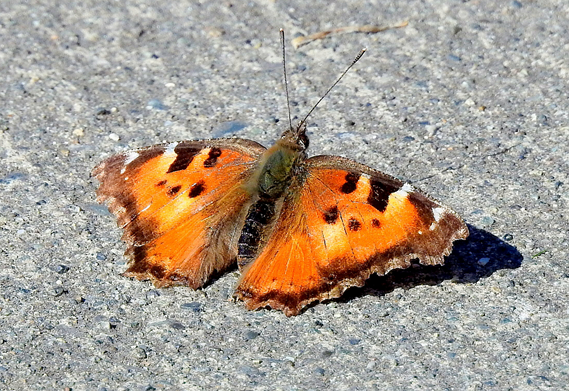 Barb McGrenere writes: Mike and I saw two California Tortoiseshells near the Plaskett Telescope yesterday afternoon. They were both sunning on the paved area around the building. Also, there was one male Sara Orangetip near the summit of Observatory Hill. 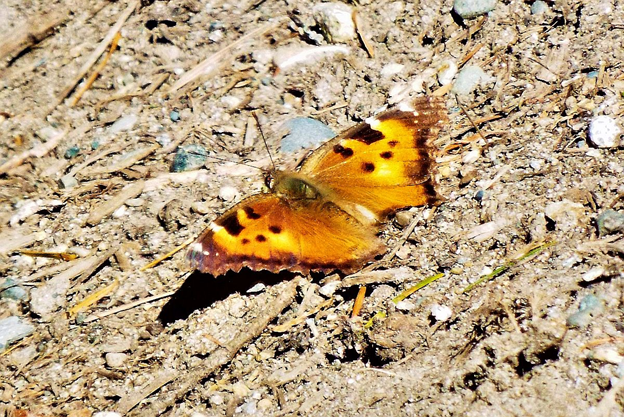 Kirsten Mills writes: Today I saw one California Tortoiseshell on Mount Tolmie at 5:05pm. Later, I saw three three on Mount Douglas at 5:30pm. Below is the one that was on Mount Tolmie.